Well … and that’s how I feel …: Non-English Number plates - allowed? 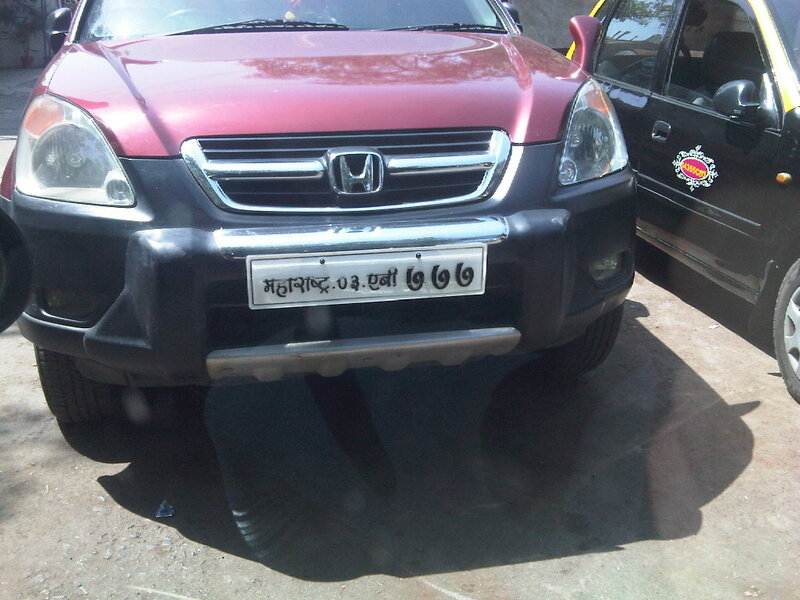 I'm sure the RTO act does not permit License Number plates in any other language, other than in English. I recall reading a newspaper article where an RTO official had mentioned that they 'could not find' any such violation. Why would any one one cross swords with mns? Welcome to India ...All illegal is legal here because it's highly appreciated by government officials(the so called educated crowd of India "I'm Kidding :)"). हम बुलबुले है इसकी ये गुलसिता हमारा ... "
India is a country with more than 300 languages, and it is not possible for any person to read and write all languages. However, for example even Jats and Biharis (if not all, some of them) can read an English number plate atleast, although they may not know to speak even a single word. Having number plates in other languages than English could lead to cases like Hit-and-run, Goondaism (like chain snatching and kidnapping) and the criminal getting away because their vehicle numbers cannot be identified? If someone is very patriotic about the language, let them write books and articles, which people can read at leisure. Let them read only Hindi/Kannada/Tamil books/newspapers if they dont understand English. But not critical things like number plates. Please !! !